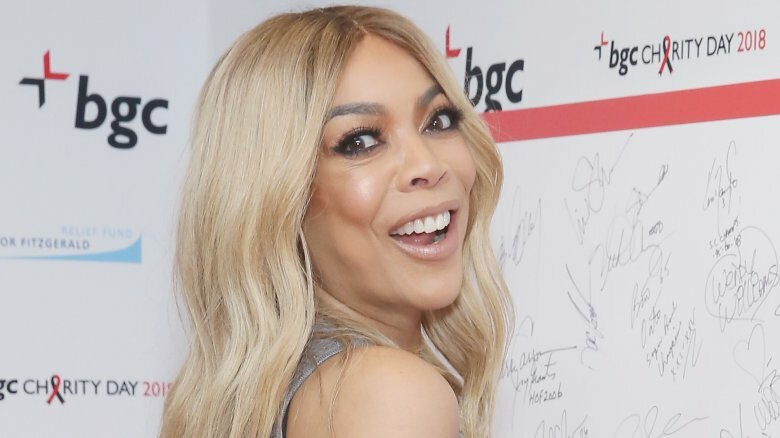 Talk show host Wendy Williams' marriage to manager Kevin Hunter has been plagued by rumors for years. While the "Hot Topics" hostess insists everything is fine at home, there are a lot of aspects to their union that give us some pause. Rumors abound that he's controlling, potentially abusive, and repeatedly unfaithful to his wife. She's also discussed their stormy past and her strained relationship with their son. All that, and yet she has proclaimed her love for him, insisted cheaters should take their secrets to the grave, and maintained an open-door policy that may be hurting rather than helping their family dynamics. 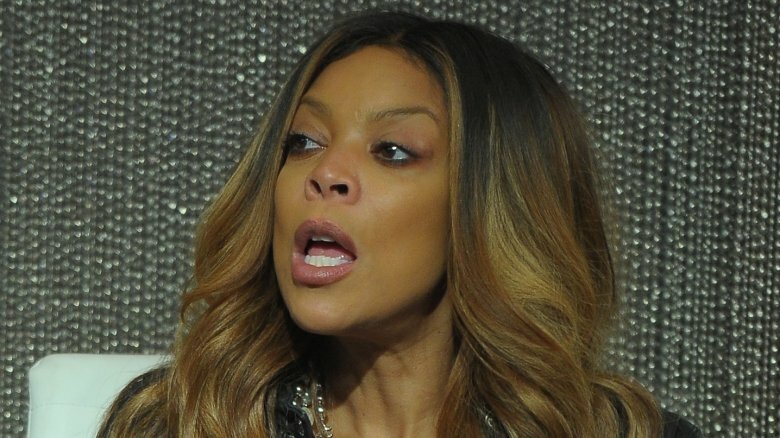 Here are the strangest things about Wendy Williams' wedded bliss (or potential lack thereof). 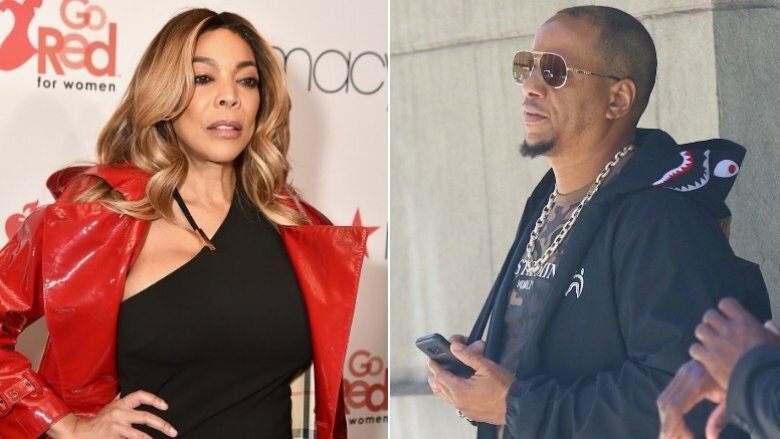 In her autobiography Wendy's Got the Heat: The Queen of Radio Tells All, Wendy Williams claimed Kevin Hunter messed around during their marriage. In a 2013 interview with Vlad TV, she went into a bit more detail, revealing that she found out Hunter was allegedly cheating on her in 2000, just after she'd given birth to their son. As Williams tells it, she learned about the infidelity through "a late-night telephone call and some clandestine whispering. You see, I'd already had the baby, so when you deliver a baby, the mother doesn't get much sleep anyway … So I overheard some greasy talk from the next room, [and I thought to myself], 'Who is he talking to?' So I tip[toed] and I crept, and I heard what I heard, and I was like, 'Wow, okay, so this is how it's going down.'" 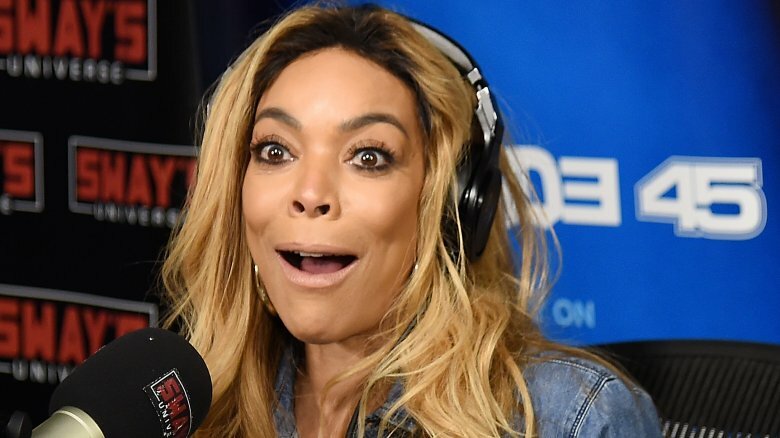 Wendy Williams told Vlad TV that her parents were visiting when she caught her husband fooling around. "They were planning on staying for three months until I went back to work. They were right at the house in the middle of all that. I think one of the smartest things I could have done was only involve them in terms of whatever they might have overheard." Williams explained: "I never went to my mother and talked to my mother about it. I never talked to my father about it … This is a problem that was between me and Kevin … They minded their own business, and we all healed." She added, "It's not just me who's healed. My mom and dad played their position … and love him like he's their very own son today. Just love him, respect our union, understand how hard we go for our love, and when they hear passionate talk in our house, they know to mind their own business." Williams forgave Hunter for his indiscretion, telling Vlad TV, "I know this is cliche, but [the cheating incident] has made my marriage stronger." Still, she admitted that it did change their dynamic. "I'm not back to the girl I was before him, because when you get stung like that, you never go back to who you were," she said. "Only a fool does. But I love him, and he loves me, and we addressed it head-on…" She added, "If you told me when I was 25 or 30 years old that I would have stayed around for a cheater, I'd have been like, 'You's a liar! You are lying! I've got way too much to offer a man to stick around for him cheating on me' … But I did, and I don't regret it." Williams thinks there's a "double-standard" between the sexes when it comes to cheating. "I think that you men are sometimes so neanderthal that you could never put up with your woman cheating, a man putting paws on your meat. But women have got to deal with that fact, many of us, at some point in our lives." Whether or not Kevin Hunter has remained faithful may forever remain a mystery, particularly if he follows his wife's advice. 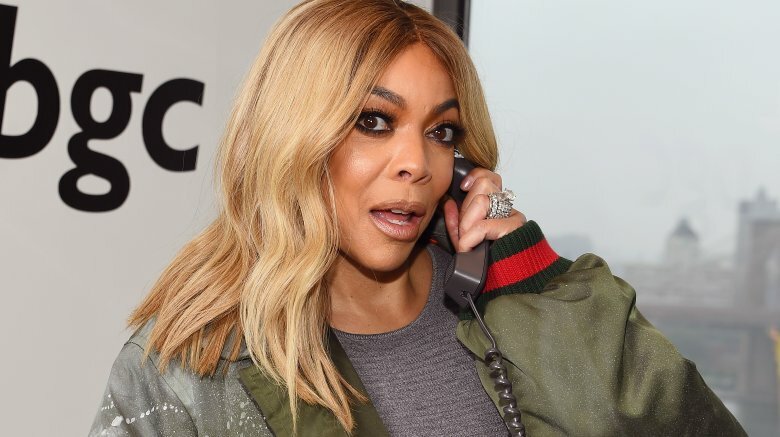 "For people who do cheat, unless you are busted — cold busted — take it to your grave," Wendy Williams told Vlad TV in 2013. "Don't get all Mother Teresa on me and start confessing … I'm not condoning it, but all I'm saying is, what is the purpose of telling? Because all you're doing is hurting feelings. No one is giving you an award for admitting that you cheated." 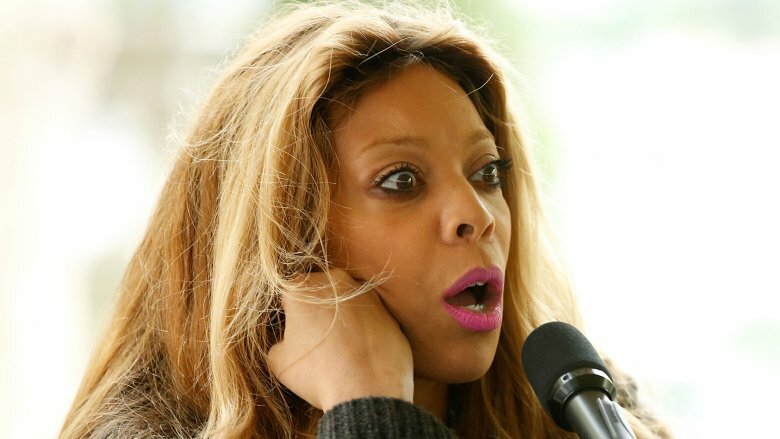 She added, "What I'm saying is that if I cheated on Kevin, I wouldn't tell him." 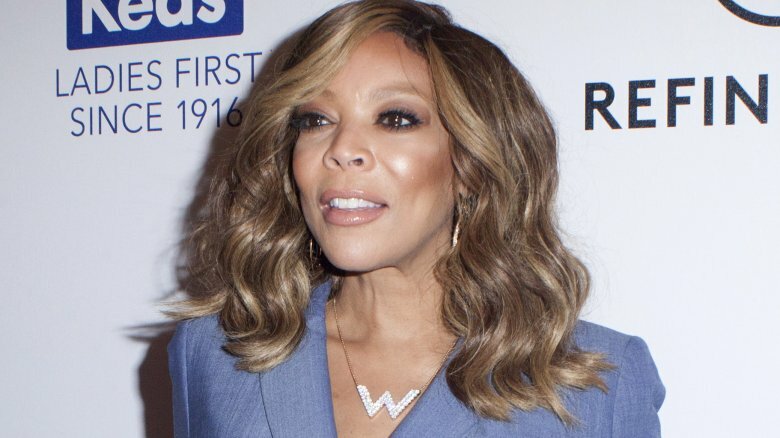 As her manager and also as her husband, Kevin Hunter is rumored to keep Wendy Williams on a tight leash, which can allegedly cause tension behind the scenes at her talk show. "Kevin makes all the decisions and has become more and more controlling as the show has become a success," a source told the New York Daily News in 2013. The source also claimed Hunter made Williams change her cell number in order to be less available to the show's staff and hired her a new driver who reports to him. "Wendy is smart. No one can understand why she does not tell him to f**k off," the insider said. He is making everyone's lives miserable and is causing problems on an otherwise great show." Tensions have reportedly increased over time. In August 2016, a source told Love B Scott: "Show execs want [Hunter] fired from the show. 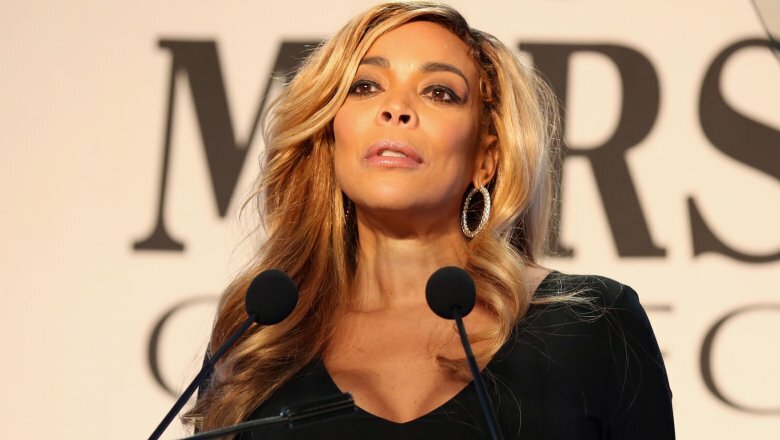 Wendy is in full support of his exit amid their major marital problems." Talent booker and publicist Nicole Spence, who worked for Williams and Hunter on The Wendy Williams Experience, sued Williams and Hunter for sexual harassment in 2008, The Associated Press reported. Spence claimed Hunter sexually propositioned her in late-night phone calls, and when she didn't give in to his demands, that he threatened her. TMZ reported that Spence claimed Williams encouraged Spence to give in to Hunter, even offering to take her shopping to dress more provocatively. The allegations didn't stop there. Spence also accused Hunter of physically abusing Williams at work. Spence alleged in her complaint (via the New York Post): "In one instance, Mr. Hunter stormed into the studio, demanded that other employees leave and openly physically abused Ms. Williams, pinning her against the wall with his hand around her neck, choking her while repeatedly pounding his fist into the wall directly by her head." Both Williams and Hunter denied the dirt. "Her allegations are totally false. This b***h is out of her mind," Williams told the New York Post. The Daily Mail reported that the $5 million lawsuit was later settled out of court for an undisclosed sum. 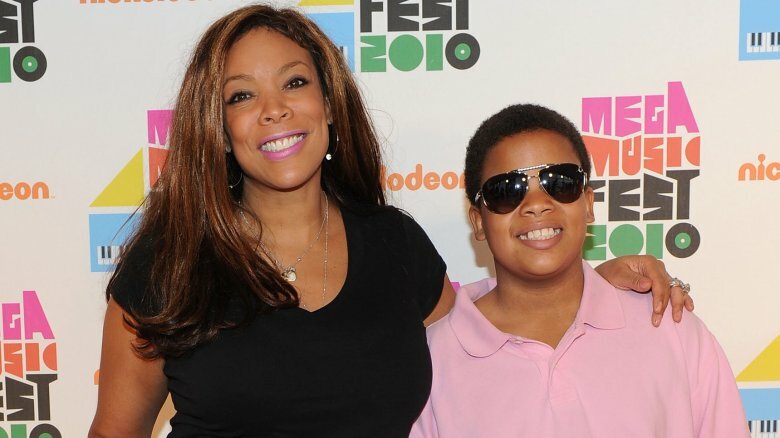 In a January 2014 "Hot Topics" segment on The Wendy Williams Show, Williams revealed that her son, Kevin Jr., is much closer to her husband than he is to her. She actually broke down and started sobbing on air. The segment began innocuously enough, with Williams discussing Instagram interactions between Madonna and Madonna's son. "Rocco's 13 years old and Rocco is a real fan of his mother," Williams said. "What I discovered this weekend is that my son doesn't like me anymore … He's the one who's 13 and I get it, I was the same way when I was 13, but it is breaking my heart." She added that she believed their struggles were just a phase, but added, "At this time, I can't understand men who disappear from their kids lives. Thank God he has his buddy, and father — he's a father, he's a buddy, they talk sneakers, they go for haircuts, they speed off in the cars and I'm just left there…"
Maybe the reason Kevin Jr. is keeping his distance from his mama is because of a really awkward moment in the past. 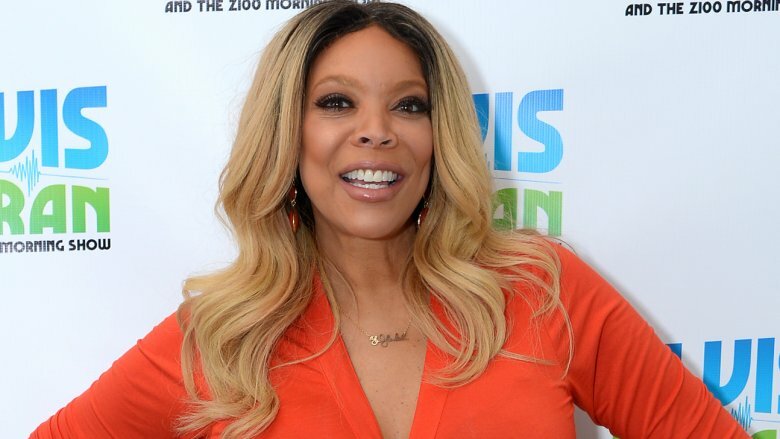 Wendy Williams revealed to Conan O'Brien in 2016 that junior once walked in on her pleasuring Hunter. Williams explained that she, Hunter, and Kevin Jr. have a literal open-door policy at home (in that they never close their doors), but that they always warn one another by clearing their throats or stomping their feet when someone is approaching so they can "clean up" and get decent. In her words, "…if you walk in on me and my husband, you're going to get a surprise." When O'Brien asked if that's ever happened, she affirmed, "Once, when [Kevin Jr.] was 13 … He got a surprise and he will never do that again … He walked in on me giving my husband a favor at 2:00 in the morning." She said, "He forgot to clear his throat and stomp! We didn't hear anything … He saw the TV, and then he looked, and what do you think we did? We continued!" 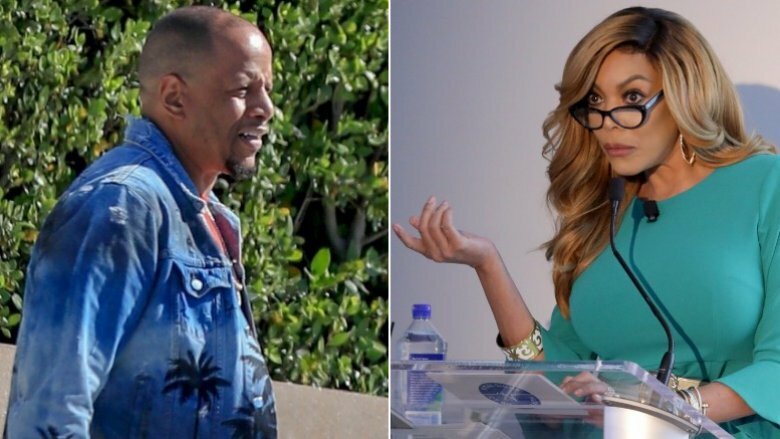 In September 2017, the Daily Mail released a bombshell report alleging that Kevin Hunter had been stepping out on Wendy Williams with a massage therapist named Sharina Hudson — and that Hunter had bought Hudson a $765,000 home not far from the $2 million property he shares with Williams in New Jersey. The Daily Mail reportedly kept tabs on the situation for more than a year, even photographing Hunter's name inside the mailbox at Hudson's home. A source told the Daily Mail, "Kevin is with Sharina three or four times a week, often staying over … They go to the gym together, they go out to restaurants together as if they're a normal couple. But then he goes home to Wendy as if everything is normal there, too. He's living a double life." The source claimed, "Kevin isn't a touchy-feely person, so you'd never see them kissing or hugging in public and if they ever see anybody she knows the drill, he introduces her as his sister. Kevin has pretty much trained her so she knows what to do." Hudson's family allegedly knows about the affair and doesn't approve. "Her parents don't like the situation, they want him to step up and leave his wife and commit his future to Sharina. They want grandchildren," an insider told the Daily Mail. "Kevin has told Sharina that he will choose her eventually, but her family think he's just stringing her along… Kevin loves Sharina just as much as he loves his wife so it's difficult for him to let go of either of them. Sharina has put a lot of pressure on him to leave Wendy and he has made certain promises, but will he follow through?" While Hudson may not be able to rely on Hunter for a commitment, the source noted, "Kevin supports Sharina financially. She lives in his place rent-free and he's bought her various different cars and nice clothes and jewelry." Is Williams turning a blind eye? A source said Williams genuinely isn't concerned because she knows Hudson personally. "Honestly, Wendy and Kevin have been together for over 20 years. They are also business partners and he manages so much of her empire," an insider told Radar Online. "Wendy is not worried about this at all. She is not getting a divorce, and she is just fine." 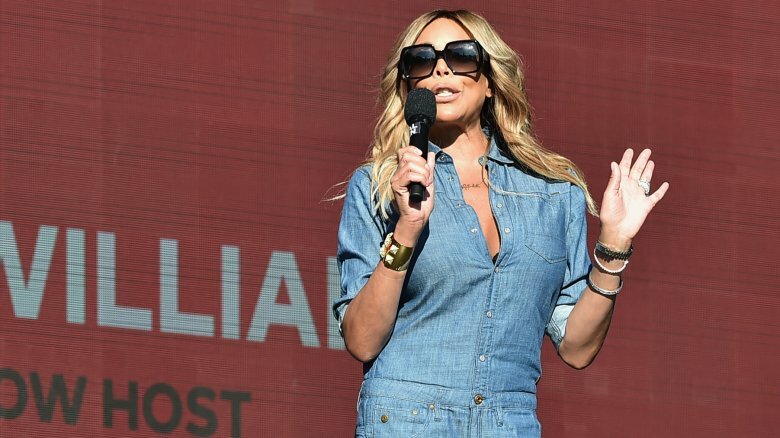 Williams' rep also denied the allegations, telling E! News, "One plus one does not equal three. This woman is a friend but there is no 'there' there." 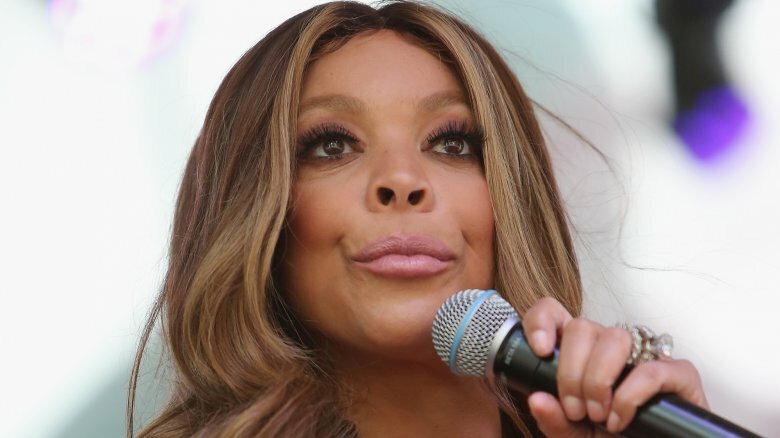 After the Daily Mail story broke, Wendy Williams didn't exactly shy away from the allegations on her show, though she didn't mention the story or cheating rumors specifically. "It's weird doing 'Hot Topics' and being a hot topic," Williams admitted during the segment on Sept. 26, 2017. "It's some sort of weird story going around the internet regarding my husband. Look, I'm a straight shooter. Pow, pow. All you've got to do is Google him and you see the story. You can believe what you want—but I stand by my guy." She held up her hand to flaunt her massive diamond engagement ring and wedding band. "We commuted [together] this morning. All is well in Hunterville. Don't believe the hype, and if there was hype, believe me you—I would let you know." She added, joking, "I'll be following this story, so I guess I'll have to watch to find out what happens." A source told Hollywood Life that despite not being worried about Hunter's relationship with Hudson, Williams does want it to stop. "She believes in him but needs him to be more careful with everything he does. 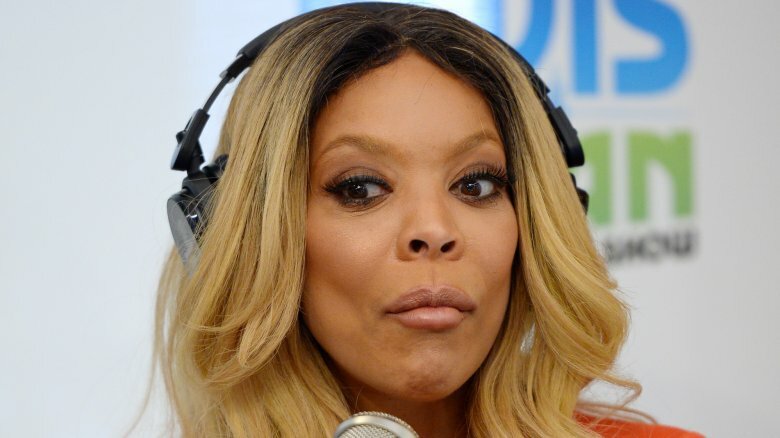 Wendy does not want to be hurt or publicly humiliated by her man ever again so he can't put himself in situations that look bad," the insider said. "Wendy also wants him to cut all ties with Sharina. She doesn't want to ever hear about him being with her again. No meetings, lunches, texts or calls. Period." 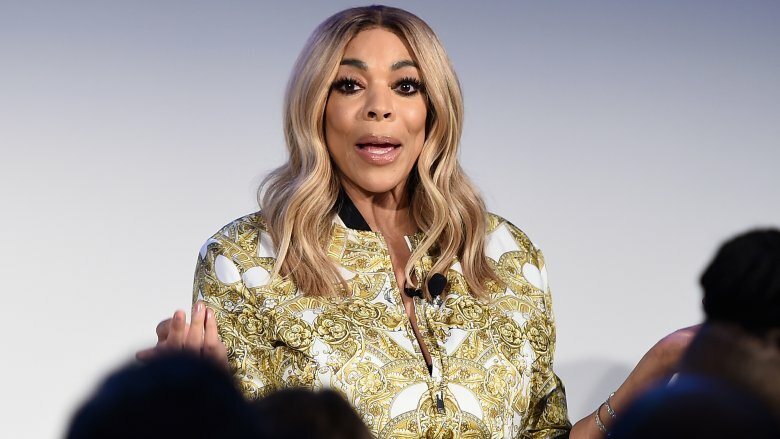 A source also told the site, "Wendy is putting on a very brave face for the cameras, but behind the scenes she is furious … They already had trust issues and this latest scandal has just added more fuel to the fire." If you're wondering if Williams and Hunter have some sort of understanding or arrangement that would give him the freedom to spend the night with other women, that's reportedly not the case. She told Vlad TV in 2013, "I would never have an open relationship. I think that's a recipe for disaster." Williams said she knows couples who've been in open relationships. "For the life of me, I would never do that," she said. "As the women have gotten older, because we're all around 50, they've slowed down on this notion and the husbands still want it, so it's created a little dissension. In other words, it was cute and funky and fly when everybody's 35 years old, but now, damn, you're 50 and [you have] kids, and some of the women don't want an open relationship anymore. But the horse has already left the stable! How are you going to dial back? I don't know."